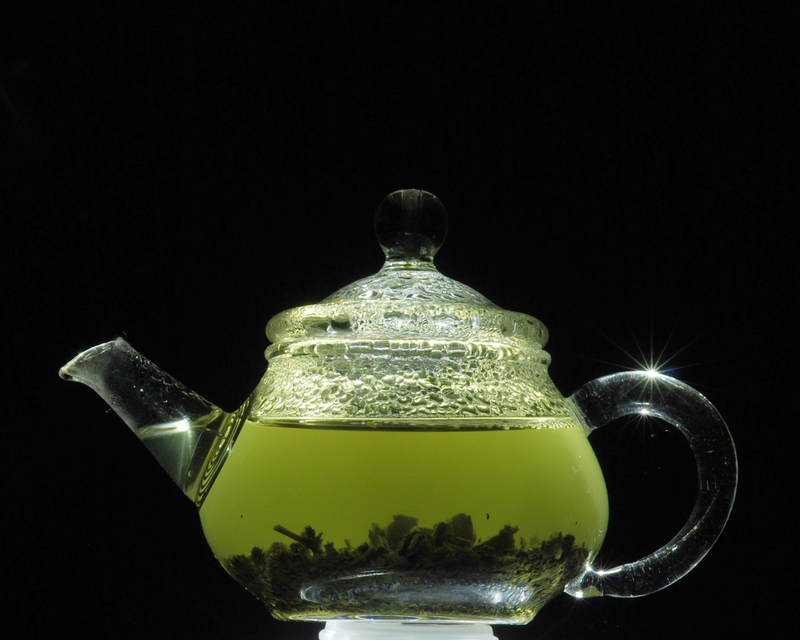 Green Tea is still one of the most popular teas. 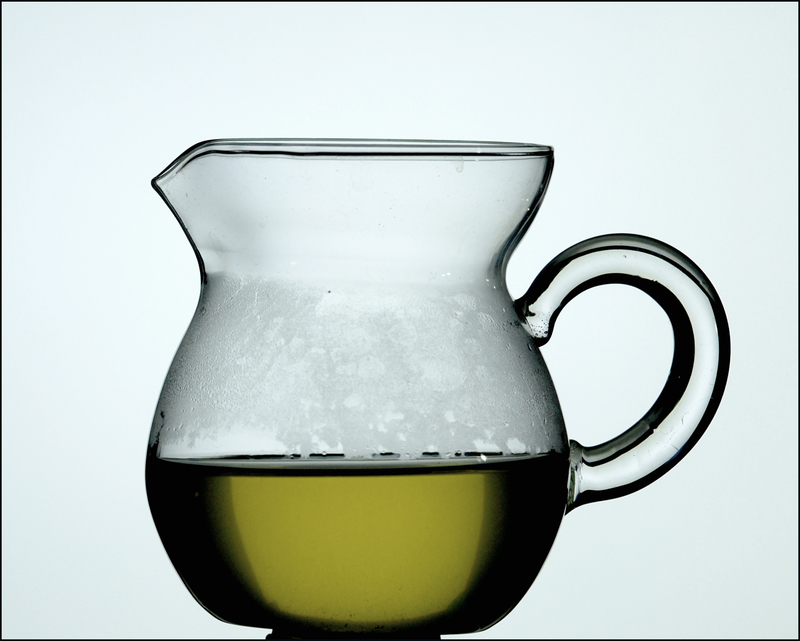 For most teas a small glass or ceramic teapot is used. For a meal or for larger quantities a larger pot can be used without the transfer pot. 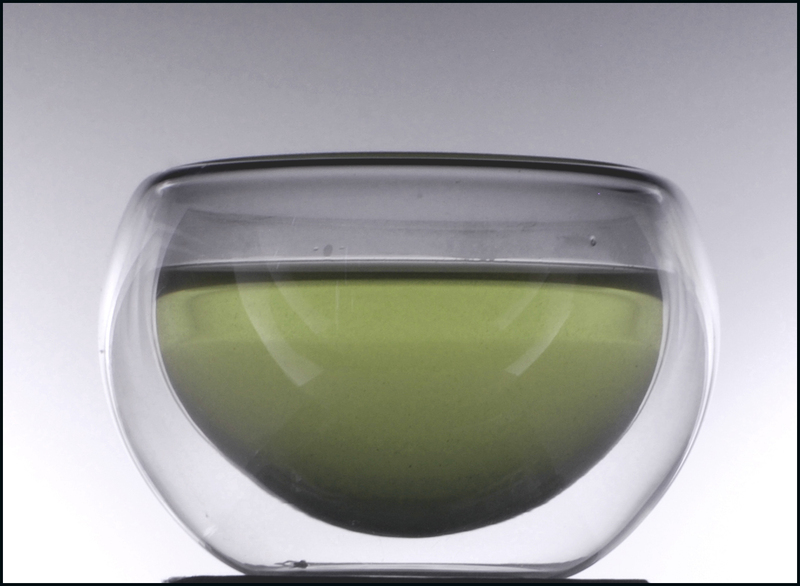 This method can be used for a variety of Green and Green alike teas:Long Jing, Sencha, Jasmine, White, Oolong, herbal, etc. First the leaves are soaked in hot water. The amount of water added is just enough to cover the leaves. Let stand for 5 minutes. After 1 minute the tea is transferred to a small jar to collect all the tea. This transfer has several objectives: control the contact time between the hot water and green tea and mix the tea making a uniform brew. The tea is transferred from the small jar to the cups.The Sencha is finer ground than Lung Jing, therefore we will have more sall tea leaves being transferred during the brews and tea is slightly haze. Typical setup for the green tea. Teacup, transfer cup and two drinking cups. Filter? It is on the inside of the teacup, a spiral filter easy to be removed and cleaned. Tea now can be enjoyed. firs there is a visual appeal of the color and hue, then the smell fascinates and tea is tasted to complete the degustation. After drinking all the tea, the teapot can be refilled up to 8 times, and time can be extended after each 3 set of brews in order to better extract the tea from the leaves. The second cup is always the best of all. Here is an alternated cup made with glass double insulated. It looks nice and is not hot in the outside. 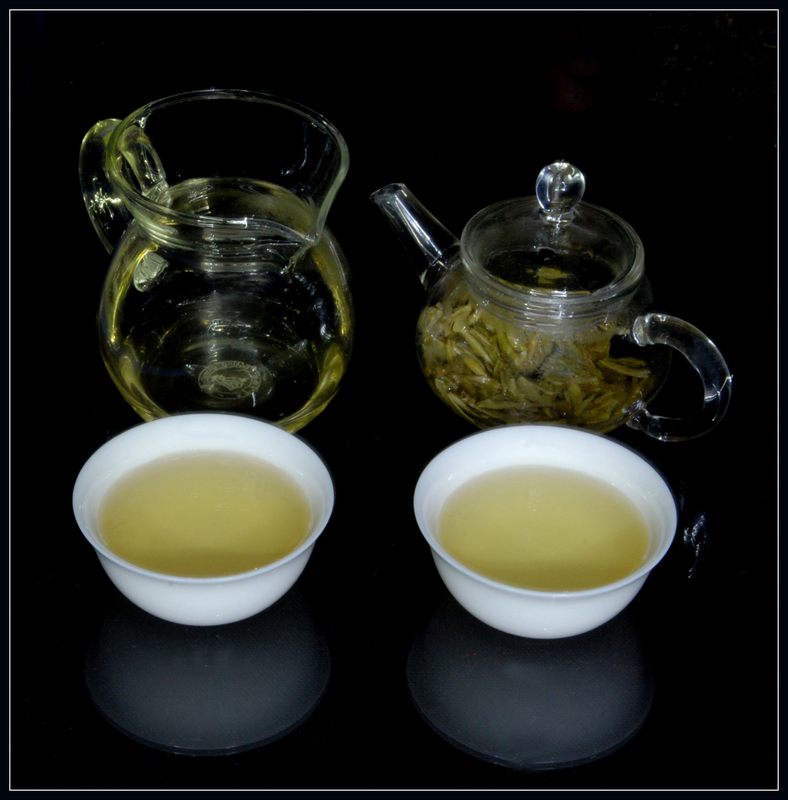 This entry was posted in Green Tea Small Pot and tagged Green tea, Green Tea Small Pot, tea pot. Bookmark the permalink.